A broken propeller not the cause of a collision of the "Forenso" and the "Edelweiss" on the Waal near Nijmegen on March 20, according to the police. The river cruise ship sailed on only one of the two engines, but it was allowed to do so. A tree trunk had gotten into the propeller a day earlier, but that was unrelated to the collision. The police then carried out the necessary checks, and the ship was able to continue on one engine, having the correct certifications to do so. The police was still fully investigating. 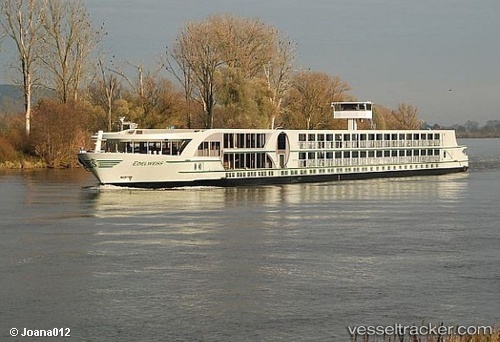 The Dutch Environment and Transport Inspectorate (ILT) was still investigating the collision of the "Edelweiss" and the Dutch barge "Forenso" on the Waal near Nijmegen on March 20. The river cruise ship was still in the Weurt West Canal in Nijmegen. It has to be docked for a further detailed technical investigation. At least three passengers had reported shortly after the collision that a propeller of the cruise ship had been damaged by a tree trunk the day before. A broken propeller may have played a role in the collision. Distorted radar images have also been mentioned as a possible influence on the accident. In addition, bad communication between the two ships could have played a role. The captain of the "Edelweiss" spoke broken German via the VHF radio shortly before the collision while it is customary to speak in the language of the country where a ship is actually located. If that fails, then the switch is made to German. Experts have been advocating English as the official language for some time. In addition to the regular investigation by the police, the Dutch Safety Board also indicated that it had requested information about the investigation. Whether they will actually conduct an own investigation will be determined by the council in the coming weeks. After the heavy collision of the "Edelweiss" (MMSI: 269057441), with the loaded Dutch roro car carrier "Forenso", 1285 ts (EU-No. : 02324437), on the Waal at the railroad bridge near Nijmegen on March 20 at 4 a.m., the "Forenso" could leave the Waalkade in Nijmegen after the removal of twisted debris from its bow at 6.10 p.m. It resumed the voyage to Colonia where it was due to arrive o March 21. The "Edelweiss" remained at the emergency berth in the Weurt West Canal where the baggage of those passengers who intended to continue the cruise westward was transferred from the heavily damaged "Edelweiss" onto the Swiss river cruise ship "Oscar Wilde" (MMSI: 269057612) which sailed at 11 p.m. towards Amsterdam, where it arrived on March 21. The 12 passengers who wanted to abort the cruise were carried on by coaches. The police of Nijmegen continued its investigation which was expected to be finished within around two months.